For extirpative renal surgery, we generally favor hand-assisted laparoscopy for procedures that require intact specimen extraction (nephroureterectomy and donor nephrec-tomy) as well as for large radical nephrectomies. Approaches to partial nephrectomy are in flux. For procedures with smaller specimens (adrenalectomy, prostatectomy, and lymph node dissection) and most reconstructive procedures, we prefer either the standard or robotic approaches. Other novel procedures, such as cystectomy and diversion, simultaneous bilateral nephrectomies and nephrectomy for polycystic kidneys, also favor hand-assisted laparoscopy. 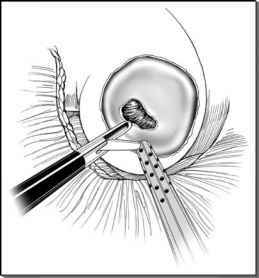 Regardless, guiding principles of selection for handassisted laparoscopy focus on approach (morcellation vs. intact removal), prior history (abdominoplasty and prior operations), body habitus, and surgeon's competence.